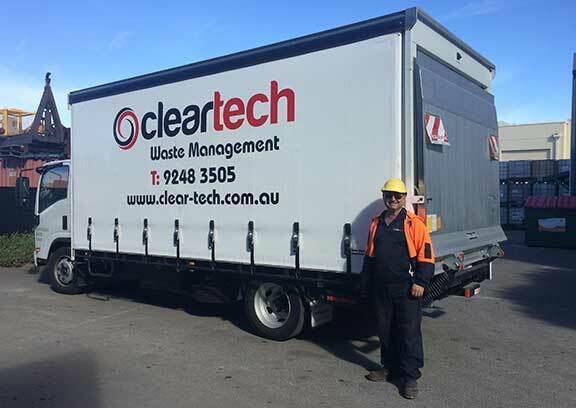 Welcome to Cleartech – one of the leading providers of waste management services in Perth and throughout Western Australia. Our team of highly skilled and experienced waste & environmental specialists are able to assist with everything from general waste & recycling services to complex hazardous waste disposal. If your yard needs clearing or there are some dangerous chemicals to be removed from your property, we are the team to turn to. Contact Cleartech today to arrange a free consultation and no-obligation quote. Our service begins with general waste collection for businesses and enterprises of any size. Our team will evaluate your current waste services during the initial consultation, allowing us to determine the appropriate size and number of bins required for your waste & recycling services, along with suggesting new recycling initiates to reduce waste from landfill and save you some money in the process. And in order to provide our clients with even a more efficient service, you will deal with one account manager for all your requirements, so you’re not dealing with call centre operators that haven’t physically been to your site, who don’t know where your bins are located, nor understand your individual needs. You’ll be amazed at how much more smoothly the waste disposal process runs as a result. We work hard to divert as much waste from landfills as possible. That’s why, in addition to general waste collection, we also collect recyclables for our clients. We provide them with a simple and straightforward way to boost their environmental performance. Better yet, our mixed recycling collection service makes it easier for your team to separate the recyclables from your general waste. Simply gather all of your clean recyclable waste into a single bin, and we’ll take care of the rest. Hydrocarbon Waste: Oil and petroleum-related waste have to be disposed of very carefully. In fact, one litre of oil can end up contaminating up to a million litres of ground water. 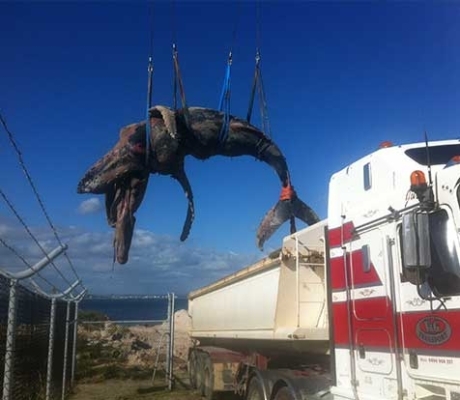 There’s no margin for error when it comes to this type of industrial waste disposal in Perth. 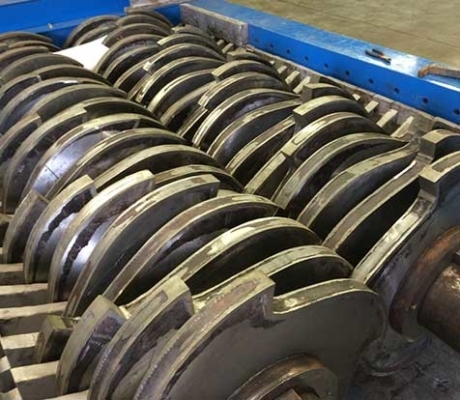 We employ a sophisticated, three-stage treatment process to separate out water, metal and other contaminants. And of course, all of our hydrocarbon waste disposal equipment and personnel operate according to the strictest requirements. E-Waste: Worn-out electrical devices should never be disposed of with general waste, as many of the circuit boards and other components found in these devices contain toxic materials. In fact, many contain extremely dangerous heavy metals that no one would intentionally dispose of in a general landfill, where these substances could leach into the groundwater. 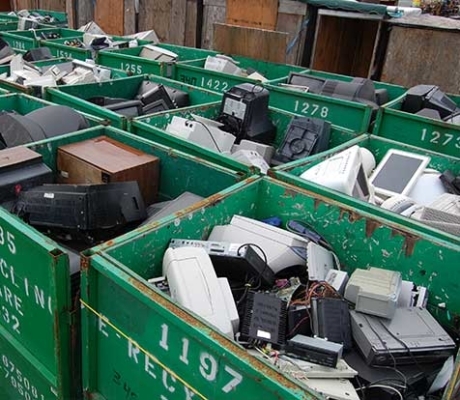 We’ll see to it that your electronics are properly disposed of or even salvaged and recycled. 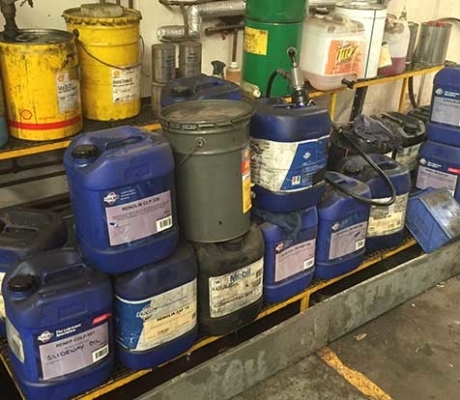 Chemical Waste: Industrial waste management in Perth is a complicated business, which is why it’s important to consult an expert when volatile or otherwise dangerous chemicals are at play. Our highly qualified industrial chemist is able to advise your organisation regarding the best ways to destroy or dispose of dangerous chemicals produced at your facility. Whether you are dealing with alkaline batteries, partially filled paint tins or something much more caustic than this, our team of experts can help you dispose of it. If you’re unsure of how to properly deal with toxic waste management in Perth, the team at Cleartech can help. Give us a call on (08) 9248 3505 if you have any questions or concerns about arranging safe and effective hazardous waste disposal. Once you’ve removed that waste from your premises, you’re in an ideal position to clean up the area as well. That’s why – in addition to hazardous waste removal in Perth – we can also assist with large-scale industrial clean-ups at your site. To accomplish this, we make use of the latest industrial cleaning equipment currently available in Australia. 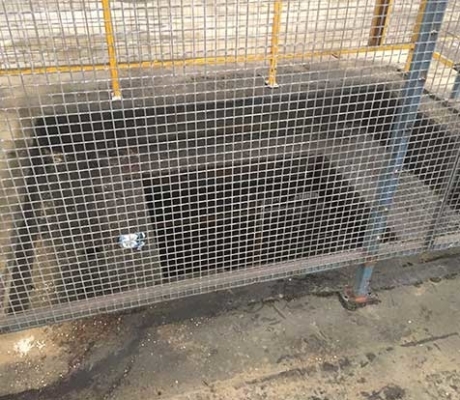 We utilise state of the art high-pressure jetting units that can be used to clean up anything from the inside of storage tanks to the areas that experienced a sludge spillage. We fine-tune these jetting units – modulating the pressure and temperature of the water to achieve the best results. At Cleartech we are lucky to have an award winning team of people whom are vastly experienced, reliable and carry out every task to the highest standards. We offer the largest fleet of specialist waste and recycling vehicles throughout mainland Australia. 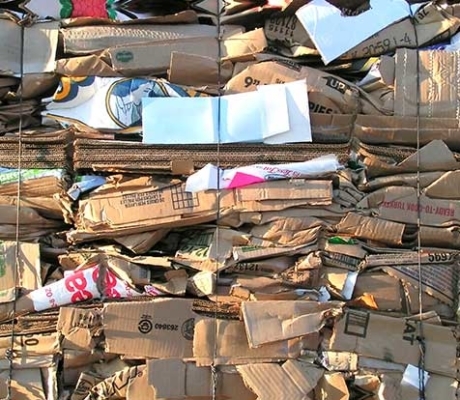 Our waste management solutions are effective, efficient and offer exceptional value. 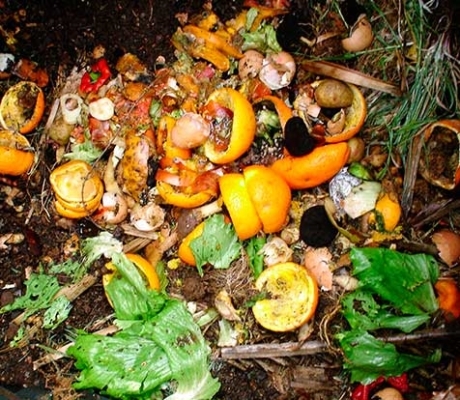 Do you have a variety of waste issues? We can solve all of your problems with one phone call. There is no job too big or too small for Cleartech. Cleartech are ISO accredited, we meet all of the legislative regulations for every waste stream. •	Need a skip bin to clear your household waste or garden/garage waste? •	Would like a collection of larger items for disposal from your property? •	Give Cleartech a call now on Tel 08 9248 3505 and we will be happy to help you. •	Want your companies total waste problems professionally, efficiently and cost effectively managed? •	Would like to recycle and ensure your company is environmentally green? 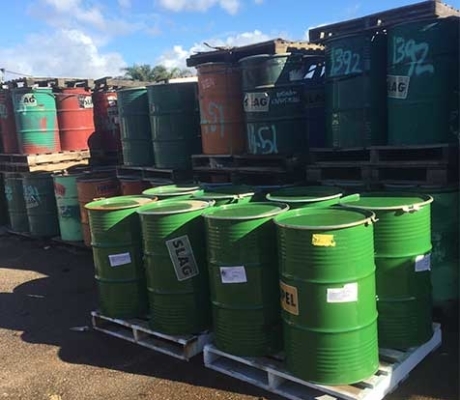 •	Have some hazardous chemicals that need to be handled and disposed of competently? •	Need to dispose of liquids, packaged or organic materials? •	Give Cleartech a call now on Tel 08 9248 3505 and we will be happy to assist you. •	Need a liquid clean up spill doing quickly? •	Have an emergency chemical issue that needs an expert to help? 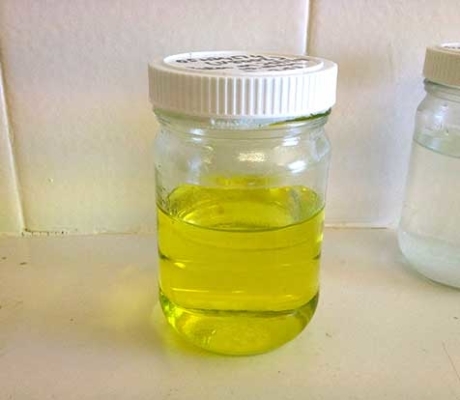 Liquid waste can present one of the most complex problems in terms of industrial waste disposal in Perth. After all, you certainly can’t merely bag a large amount of liquid up with the rest of your waste and dispose of it that way. Instead, it is necessary to make special arrangements. We are experts in disposing of liquid waste, including hazardous or volatile liquids that have to be handled with the utmost care. We have gone out of our way to acquire the equipment needed to properly deal with waste of this nature. In fact, we have the largest fleet of tankers anywhere in Australia. 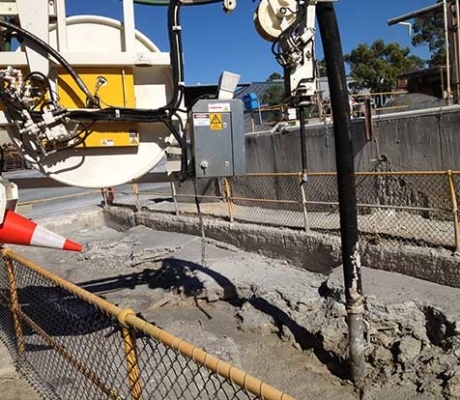 Whether you need to remove aqueous solutions from your project site or dispose of sludge materials, we have the equipment and knowhow needed to get the job done right. Our largest tankers can hold up to 2,000 litres, and we can also arrange road trains that can carry a total of 45,000 litres at a time. Suffice it to say, no liquid waste removal job is too big for Cleartech. 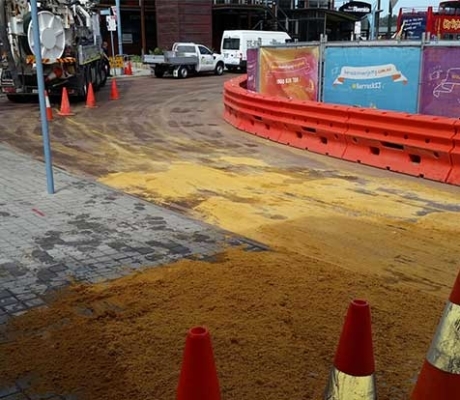 It is our singular goal to see to it that Perth’s waste is dealt with as efficiently and comprehensively as possible. We are, after all, a family owned business – and we live and operate right here in Western Australia. 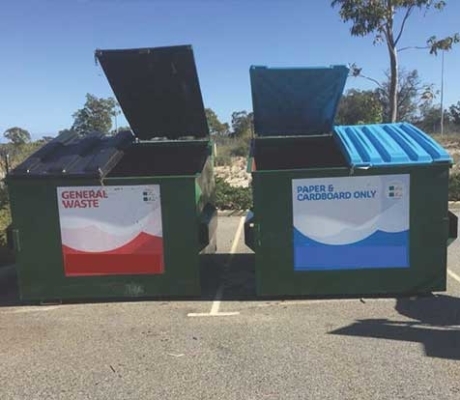 We’re in a position to help our clients minimise their effect on the local environment by helping them implement more sustainable and responsible waste disposal in Perth. Ready to learn more about our services? Contact us directly by calling (08) 9248 3505, or get in touch with us through the contact form on our website.